Containing only pure Indica genetics, Purple Kush seeds produce a dense, squat plant with large, dark green leaves and strong branches. 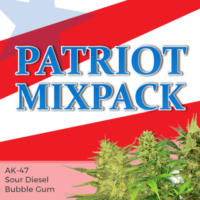 Its reduce height makes it a favorite with both indoor and outdoor growers, while the stable, feminized seeds ensure that each seed generates a pure, vibrant female, capable of producing the highest quality plant. Easy to grow, with a natural resistance to many common plant diseases, molds and pests, it’s equally happy grown indoors or outside throughout the season. Flowering times are fast, requiring between 7-8 weeks for complete maturity indoors, or late September when cultivated outside. Indoor growing techniques such as Sea-of-Green and Screen-of-Green both compliment the bushy characteristics of this strain, allowing for the creation of a quick, even canopy. Yields are good for such a fast-flowering strain, producing approximately 8 ounces of buds per plant when grown outdoors, or 14 ounces per square meter using good growing methods, and an ambient environment. 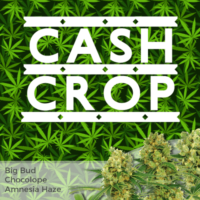 A highly popular strain with several medicinal applications, Purple Kush marijuana seeds are enjoyed by both recreational and medical users alike. Loved for their fragrant, grape-like taste and aroma, as well as their visually stunning bag-appeal, they are hugely popular with growers and smokers from California to the Dutch coffee-shops. 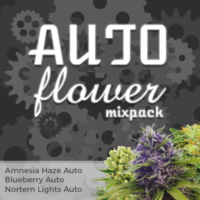 Now available as part of our feminized seeds collection, you can buy Purple Kush marijuana seeds with free, guaranteed delivery to all parts of the USA, Canada and Europe. 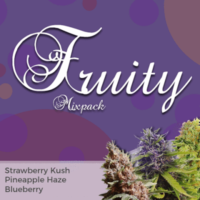 Purple Colored Indica buds with a grape-like flavor and potent body-buzz. Purple Kush is a very distinctive form of marijuana, loved for the deep purple appearance of the buds, and its sweet grape-like aroma and flavor. Enjoyed by both recreational users and medicinal patients alike, for its ability to aid rest and relaxation, assist sleep and stimulate the appetite.